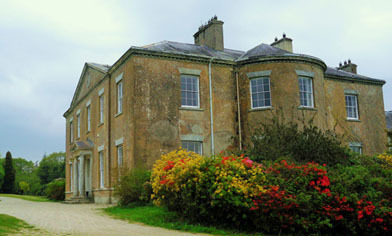 Between 1847 and 1856, Lord William Fitzwilliam removed 6,000 men, women and children from his 80,000 acre Coolattin Estate,and arranged passage to Canada. 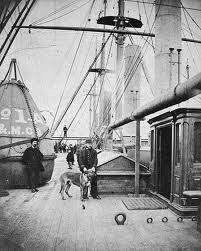 Most were sent to Quebec to travel onward to settlements in Ontario and one group was shipped to St. Andrews in order for the men to work on a new railway line. 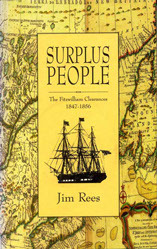 Surplus People - The Fitzwilliam Clearances 1847-1856 is the end result of four years of research and writing by Arklow historian Jim Rees, coupled with the contributions of archivists and historians in Ireland, New Brunswick, Quebec and Ontario, and details the story of thousands of famine refugees from County Wicklow. Captain Robert Charles Halpin, Master Mariner, born 16 February 1836 at the Bridge Tavern in Wicklow Town and died at Tinakilly, Wicklow, 20 January 1894 captained the Brunel-designed leviathan SS Great Eastern which laid the first transoceanic telegraph cables in the late 19th century from Valentia Island, County Kerry to Newfoundland and Cape Breton, Nova Scotia. He was married to Jessica Munn of Heart's Content, Newfoundland.